I grew up in Fairbanks, Alaska and had the idea for The Alaska Moosquito several years ago. Why not make a mosquito out of a moose nugget and see if people want to buy it? Well, it’s actually a bit more complicated than I figured. The main reason I decided to make The Alaska Moosquito has to do with my experiences during summer 2013 working as a fishing and rafting guide. I have lived in Fairbanks most of my life and I have become a little desensitized to some of the rarities of nature in The Land of the Midnight Sun. As I was driving one group of middle-aged women out for a day of fishing, we encountered a cow moose feeding in shallow water about 50 feet from the road and the women went crazy! Their breathing rate increased, squealing and involuntary movements were contagious, and all of the sudden I stopped the van to comply with their demands; I was afraid. A fairly standard moose sighting probably just made these people’s trip to Alaska the memory of a lifetime. I was much more amazed watching the emotions displayed from the women than the moose itself, reminding me just how magical these moose really are. 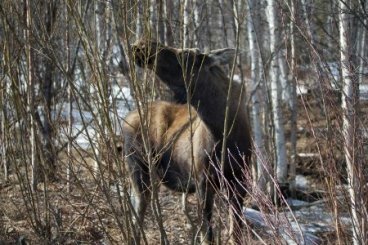 There were many more moose sightings to follow, but there were also sightings of another notable Alaska animal: the mosquito. Most of the trips I guided last summer began in prime mosquito territory. I found that most of the out of state clients were not ready for the barrage that hit them as soon as they got out of the van at this put-in spot. Clients would ask, “Are the mosquitoes bad?” and I would try to make it sound like it would be okay, but for many people it wasn’t. No one ever asked to go back to their hotel, but I think a few people were close. These two intense Alaska animal experiences reminded me of why Alaska Moosquito artwork was such an interesting concept. Intense emotion, good or bad, creates strong memories and what better way to remember an Alaskan experience than a handcrafted Alaska Moosequito? Plus, the moose droppings found in Fairbanks, Alaska come from the largest subspecies of moose in the world (Alces alces gigas) and by that logic are probably the largest moose nuggets in the world! I make every Alaska Moosequito by hand using carefully selected moose poop of the highest quality and largest size available. After sealing each nugget for safety and preservation, I attach the rest of the mosquito parts including 3D-printed wings, hand-bent wire legs, a porcupine quill proboscis, and googly eyes. Each Alaska Moosequito is one of a kind and is also available as an ornament for the Christmas tree, or for wherever else you want to hang it. 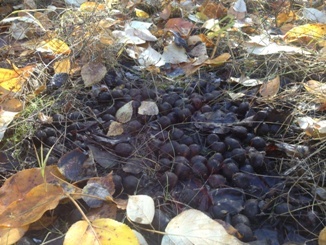 This entry was posted in Blog and tagged Alaska, artwork, decorations, moose, moose droppings, moose nuggets, moose poop, mosquito on October 2, 2013 by thewinkingmoose. Welcome to The Winking Moose! I just wanted to send out a personal greeting for the grand opening of my business. 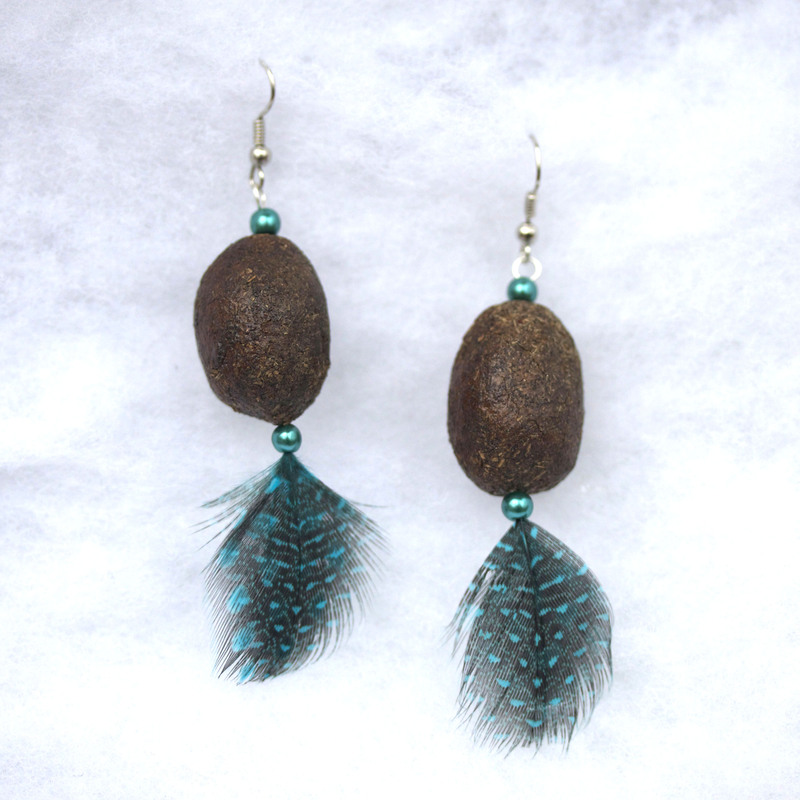 Currently, all of our products are handmade gifts and jewelry created using the same inspirational product: a moose nugget made by a local moose in Fairbanks, Alaska. The Winking Moose began with the idea of The Alaska Moosquito. 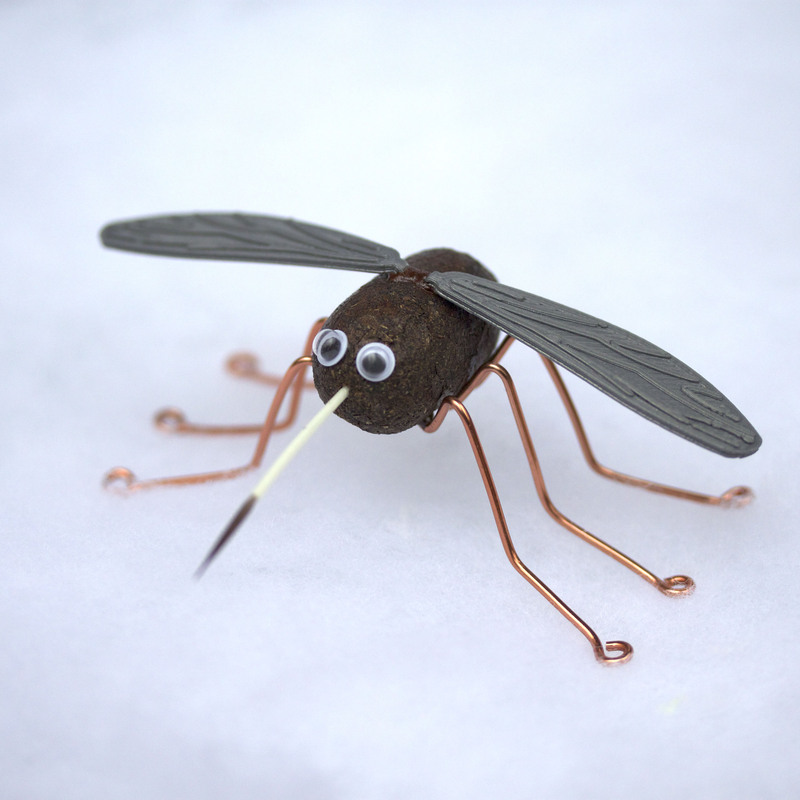 This cute, high-tech, and one of a kind animal involves everything from 3D printed plastic wings to a porcupine quill proboscis and is sure to excite any Alaska enthusiast. Next I want to introduce a product designed specifically for the 2013 Christmas season: The Alaska Moose Nugget Christmas Ornament. 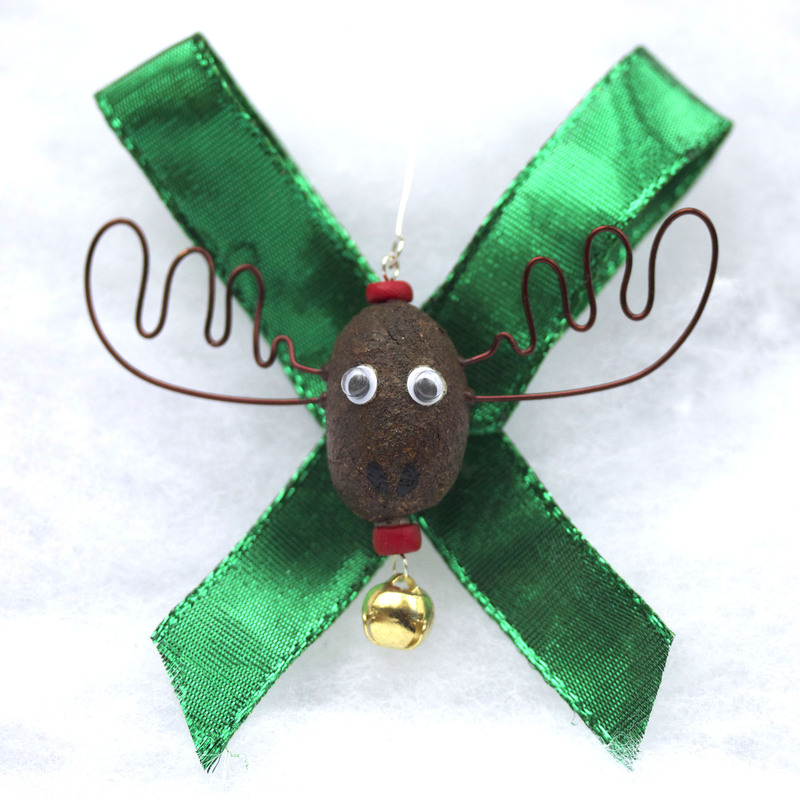 Of all the moose-specific ornaments out there this may be the only one that a moose actually helped to make! Finally, to begin my quest into the growing field of moose dropping jewelry, I have made Alaska Moose Nugget Earrings. What sets these poop earrings apart from the rest is that they are both elegant and silly; a true gag-gift in disguise. Feel free to check out the rest of this website or find The Winking Moose on Etsy. I have many other ideas which will soon be available so keep coming back for updates. And don’t be shy, I am happy to complete custom moose nugget products to suit your personal imagination! Just email me at: info@thewinkingmoose.com. This entry was posted in Blog and tagged Alaska, artwork, Christmas, decorations, jewelry, moose, moose droppings, moose nuggets, moose poop, mosquito, ornament on September 17, 2013 by thewinkingmoose. 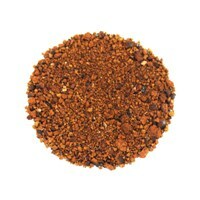 We now sell Wild Alaska Ground Chaga Mushroom! Expedited Shipping, More Bitcoin Options, and an Alaska Gift Shop Map! Check out the Wild Shore Festival for New Music!